If there is one aspect that draws contention about the history of Great War helmets it is probably the use of hand painted camouflage patterns. Discussions often rage on forums and Facebook pages about this topic. The disagreement usually centers around whether or not these camouflage patterns were used in the trenches. Those that believe that that the said patterns were rarely used if at all will point to the fact that few photos have surfaced showing such helmets in the field. 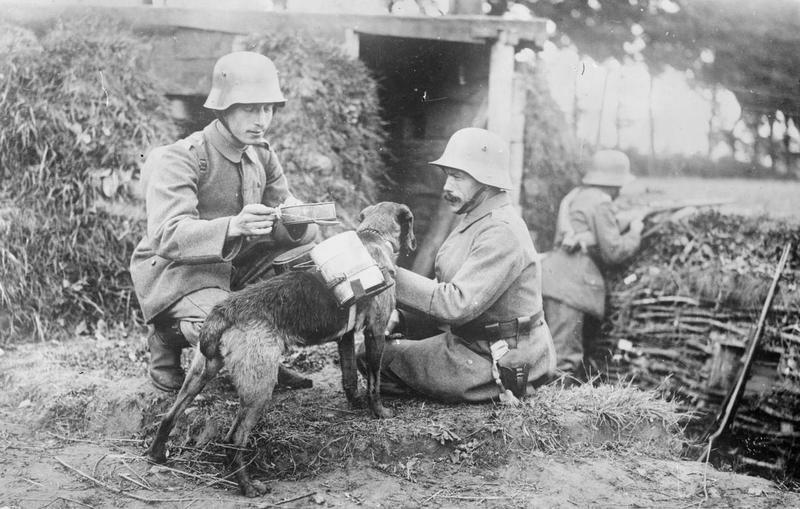 They will also make mention that it is well documented that enterprising French peasants and a few allied soldiers made extra cash painting up regular field gray German helmets with camouflage patterns and selling them to returning British and American soldiers and war tourists in the early 1920s. The logic is easy to follow. If all members of the German army were wearing a camouflaged helmet their would have been plenty around for anyone wanting a war trophy to pick up, thus negating need for post-war paint jobs. 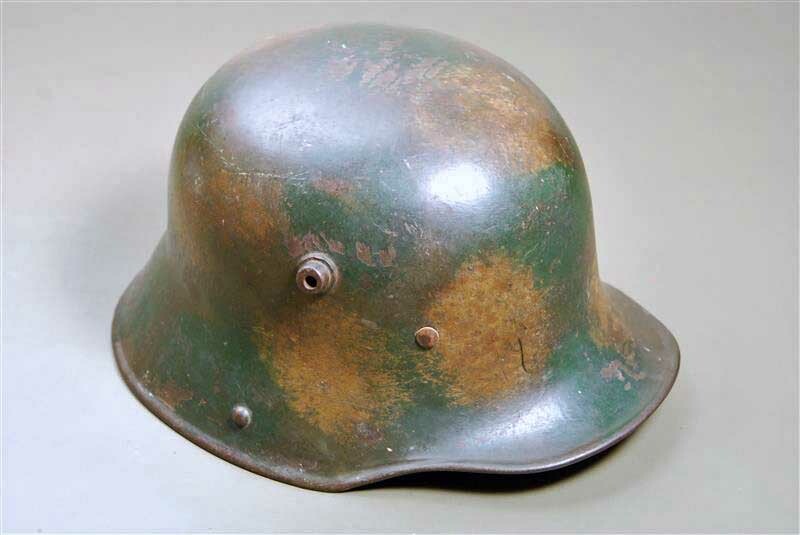 While this argument does work well for making the case that the entire German army wasn’t wearing a camouflage pattern helmet it does not answer the question as to why these helmets were popular war trophies in the first place? Could it be that those purchasing these post-war camoed up helmets associated them with true battle worn war relics, helmets worn by blooded front line troops. To answer this questions it is helpful to know how camouflage developed in the German Imperial Army. 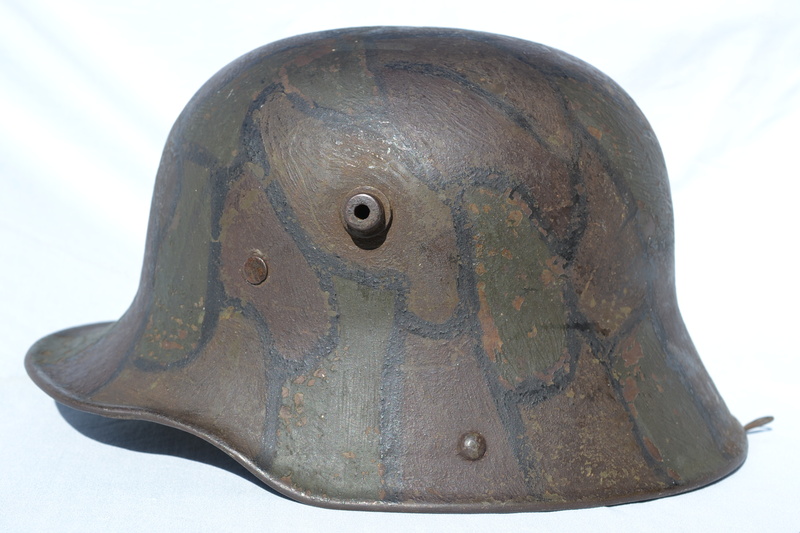 The need for camouflage was realized soon after the first M16 pattern helmet were issued to front line German troops. 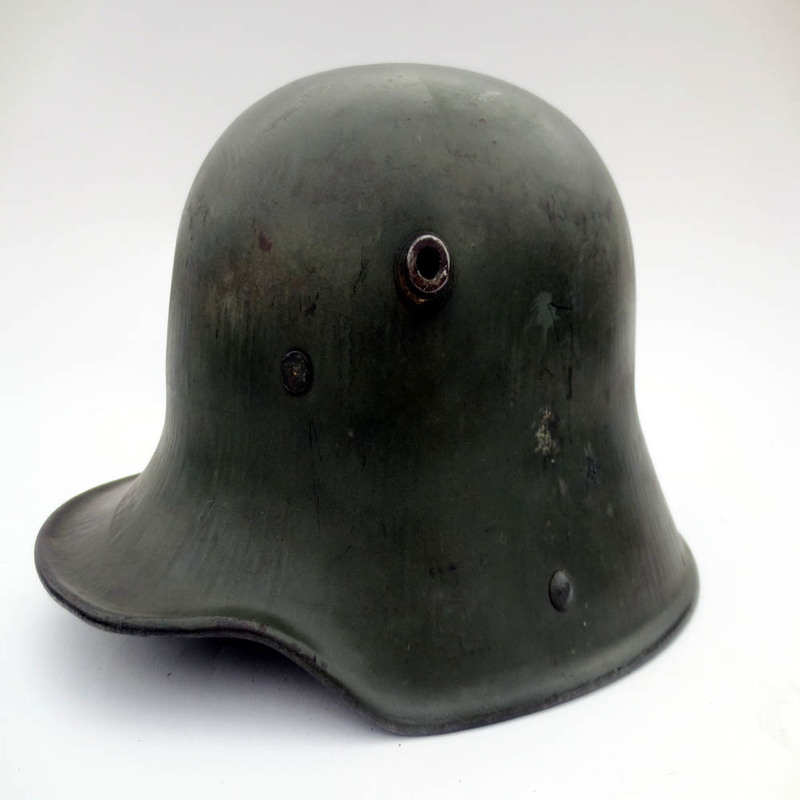 While the new steel helmet was universally appreciated by German soldiers for the protection it offered over the previously used leather and felt Pickelhaubes there were issues. 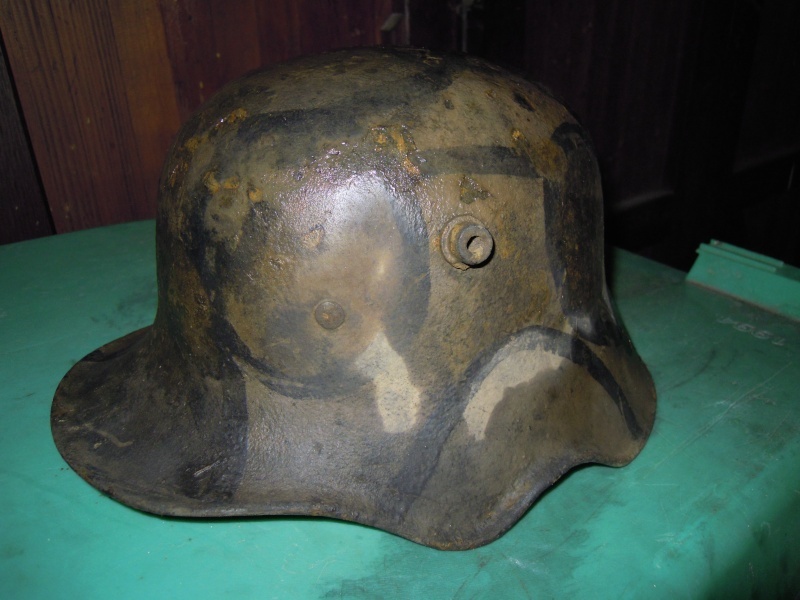 A equipment performance report from the 1st Bavarian Landwehr division dated to March 23rd of 1916 stated that the smooth finish of the helmet reflected sunlight. The glare created from the smooth surface of the helmet certainly provided a target for the enemy and the report recommend a matte finish be adopted. While in the short term a matte finish would have provided some protection it would have been temporary. The constant handling a helmet would have received in the field would soon have soon neutralized the matte finish. It wouldn’t take long before the wearer found the finish would once again have reflective properties. For the following two year a number of techniques were utilized to camouflage helmets. By far the most common method was the most simple, the application of mud to the helmet’s finish. The uneven surface the mud created and the anti-reflected qualities that mud processes was enough to hide the helmet’s shinny surface. Mud was also a logical choice as it would have blended in well on the muddy landscape which the Great War was fought. Helmet covers were also introduced and issued to a limited degree. In January of 1917 the war ministry authorized the testing of white colored canvas helmet covers which were to be issued to troops in snowy regions of the front. On February 14th of 1917 the war ministry also authorized the production of earth and field gray colored canvas helmet covers. 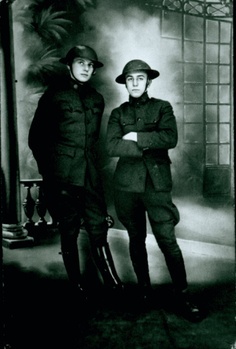 Some discussion was made between High Command and the General Supply Offices as to whether these covers were to be worn strictly by sentries and patrols or were all soldiers to be issued with such a cover. It appears no decision was ever made, but contemporary records indicate 800,000 covers were issued. As is often the case soldiers found their own ingenious ways to camouflage their helmets. 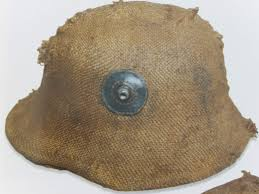 Some men cut up old sand bags and shaped the Hessian cloth over the dome of the helmet, then with section of bailing wire secured the cloth to the helmet. 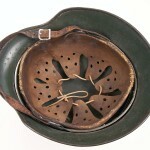 Original photos as well as surviving helmets attest to a variety of methods used. 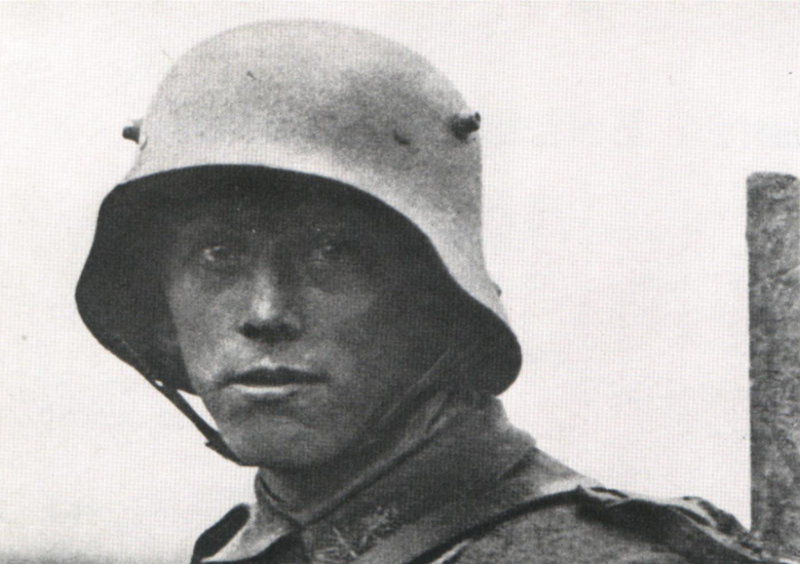 It seems the German high command was aware of the need provide better camouflage for the helmet. This undated photo may be a rare example of paint being used to camouflage the helmet before painted camouflage patterns were authorized. Two of the men have smeared their helmets with what may be tan paint or possibly white wash. Through a purposeful, variegated surface paint on cannons, mortars, machine guns, steel helmets, etc., these devices may be much more easily hidden from view than before. A painted surface with one color (e.g. green or light brown) or with small splotches of a variety of colors is superior to a standard single color helmet, although it still allows the recognition of the characteristic form and silhouette. In this regard, a three-colored surface which has had the borders blended, simulating a shadow effect is not recognizable beyond a distance of 60 meters. Particulars regarding a useful surface: Dull colors – the helmet must not shine. Sprinkling the still-damp oil paint with fine sand stops the surface from glistening in the sun. The choice of colors is to be purposely changed according to the time of year. One of the three colors must match the basic color found in the region of fighting. Separation of the surface of the helmet into equal-sized portions, consisting of large, sharp-cornered patches. Support – On the front side of the helmet, no more than four colored fields must be visible. Light and dark colors are to be placed next to each other. The colored segments are to be sharply separated from each other by a finger-wide black stripe. 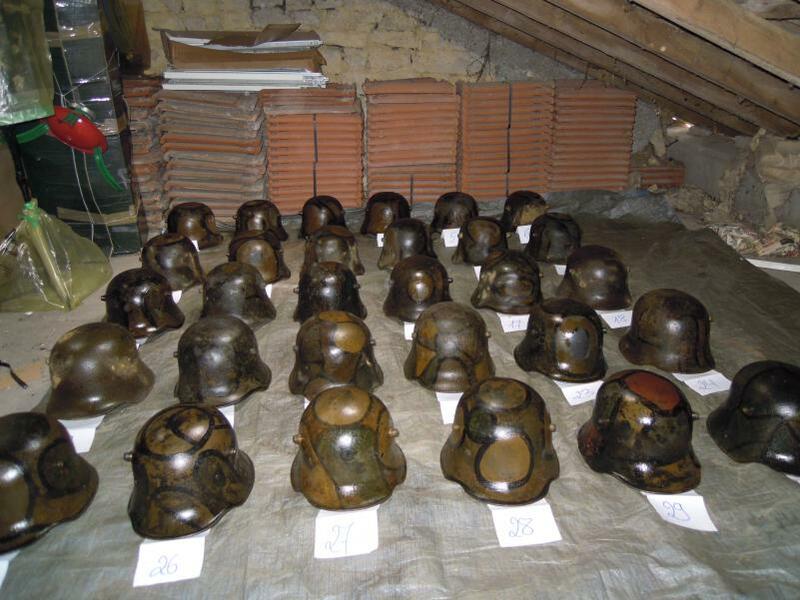 Necessary coloring materials for 1000 helmets: 5 kilograms each of ochre, green and brown; 2 kilograms of black. 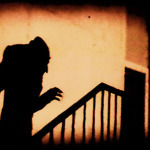 After ongoing scientific testing, I have requested the War Ministry to regulate the appropriate seasonal color scheme. Until that point, I request that painting be carried out in the above-mentioned manner. This directive is specific on what it recommends, and gives clear reasons of why certain camouflage patterns are desired over others, “A painted surface with one color (e.g. green or light brown) or with small splotches of a variety of colors is superior to a standard single color helmet, although it still allows the recognition of the characteristic form and silhouette.” The conclusion that can be drawn from this is that the German high command had been aware of the issue for sometime and had in all likely hood ordered field trials for certain camouflage schemes. At the very least they had taken note of what soldiers were already doing in the field. As the directive suggests certain camouflage patterns provide better protection then others. It may very well be possibly that certain units were using hand rendered camouflage patterns in the field well before the directive of July of 1918, and effectiveness of these patterns was studied. That being said documentation has never surfaced to verify such studies. Whatever documentation might have existed may be lost forever due to the Imperial German archives being burned in East Prussia in 1945 at the close of the Second World War. 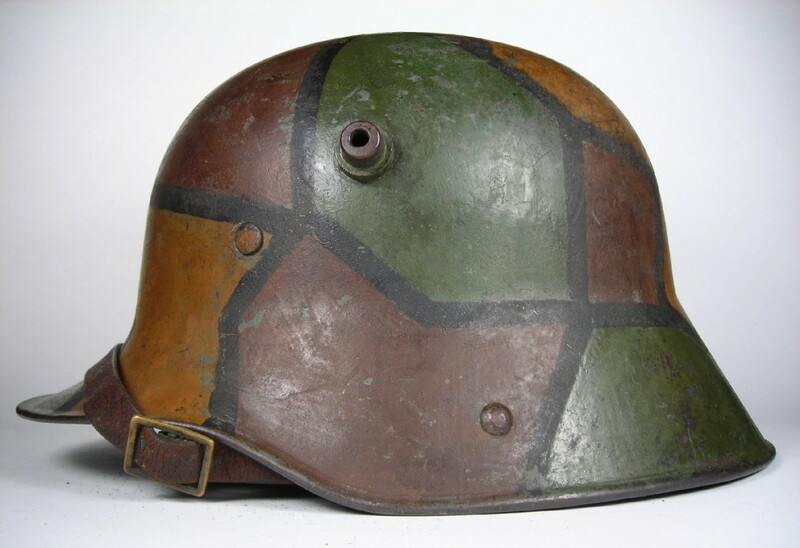 It is important to note that terms such as, tortoise shell camo, stained glass camo, blotch/splotch camo, or window pane camo, are commonly used to describe camouflage patterns on German helmets. These are collector terms used to identify the pattern and were not used by the German army. While the directive is clear that the camouflaging of helmets was to commence immediately there is no surviving follow up documentation indicting as to how well the directive was adhered to.Without documentation it is left to study other evidence. Studying original photos from the period are one of the best ways to do this. 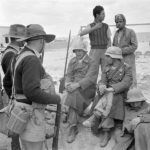 What should be acknowledged is that German soldiers were well aware of the short comings their helmets had and would certainly have embraced any idea which would have allowed them further protection. Despite what detractors may say a surprising number of photos do exist showing the use of these camouflage patterns. The above photo is an excellent example of helmets camouflaged as General Ludendorff recommended. The black fingers separate the colors which may in this case be assumed to be green, yellow ochre, and rust-brown. The photo may show men during a training exercise before being sent to the front. The uniforms and equipment show little wear and no evidence of mud can be seen, as would have been standard to troops on the front. 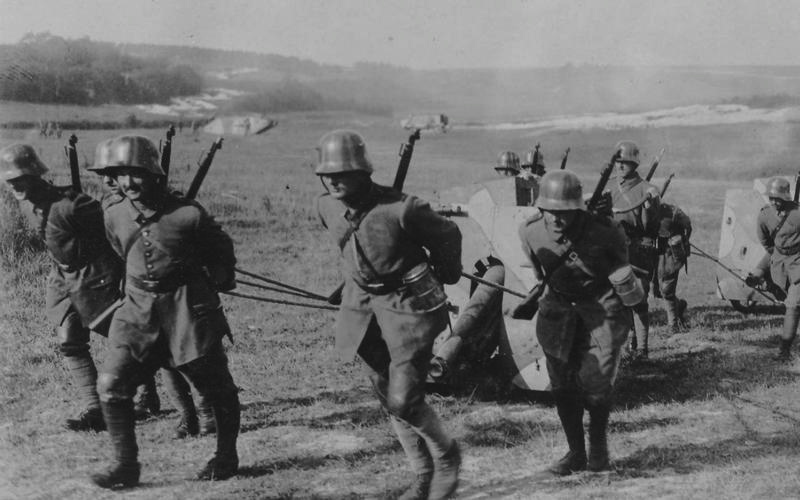 It may be while these men were off the line they received Ludendorff’s directive and added the camouflage pattern at this point. A solid example of a camouflaged M16 helmet. exactly as General Ludendorff recommended. This example could not have been unusual. It stands to reason that units being refit in the late summer of 1918 would have had a camouflage pattern painted onto their helmet. During a refit equipment including steel helmet were repaired. Helmets would have been repainted and re-lined when necessary. With the new directive ordering a camouflage pattern be applied it is only logical that supply depots would have applied camouflage to comply with the directive. It is entirely possibly that many units returning to the Western front in late summer and the fall of 1918 would have returned wearing camouflaged helmets. 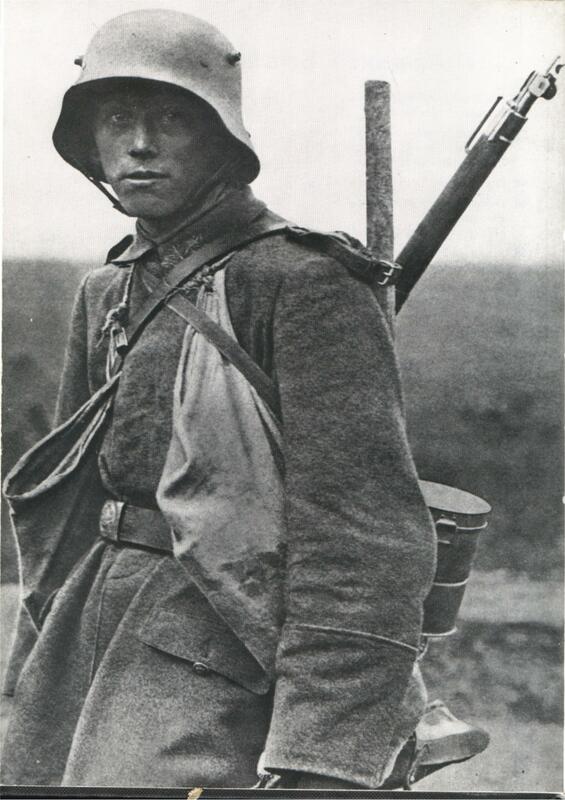 The photo below may be an example of German soldiers wearing the camouflaged helmets near the front. It is also worth noting that every man in the photo wears a camouflaged helmet. This further bolsters the argument that during a refit all helmets were camouflaged. The photo to the left is one of the iconic pictures of the Great War. What is often missed is this young storm trooper has a camouflaged helmet. When the photo is enlarged the faint outlines of a pattern began to appear. The color on the front of the helmet extending over the helmet’s dome is probably yellow ochre, while the color to the side may be green. This photo verifies the use of these helmets by front line units. No other photo exhibits proof of the use of camouflaged helmets by German forces in combat better then the above photo. The helmet of the wounded German soldier facing the camera clearly shows the black outlines separating the colors of the pattern. This photo is important because it verifies that these helmets were worn in combat. The fact that both Germans are wounded in this photo demonstrates that they have both recently been taken prisoner off the battlefield. Although not pictured it is probably that his comrades had similar pattern on their helmets as seen in the previous photos. Although not as dramatic as the photo above, this photo shows another example. While surviving photos offer some verification a recent find in France sheds further light on the battlefield use of these helmets. In 2010 a group of relic hunters in Toul, France discovered a long buried German bunker. 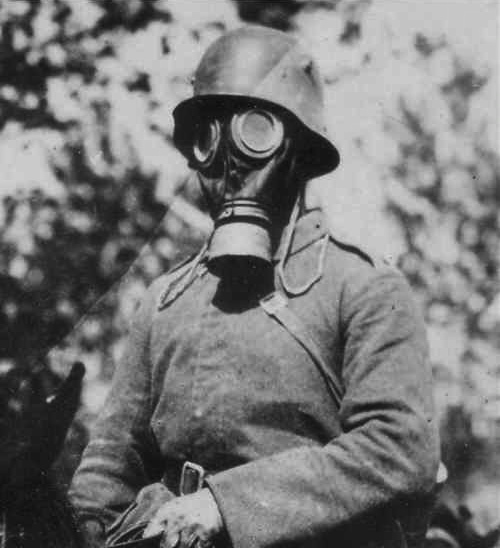 The bunker contained stacks of German helmets, gas mask canisters and a few other bits of German equipment. Helmet cache in Toul, France. When the helmets were cleaned of the years of accumulated filth it was discovered that these helmets been camouflaged exactly as General Ludendorff had directed. These helmets may have belonged to a German unit that has been operating in the area around the time of the armistice. There are two separate theories that have been proposed on how this cache helmet of helmet arrived in the bunker. It may be after the armistice the helmets and other war material were put into the bunker and buried by French authorities to simply get them out of the way. 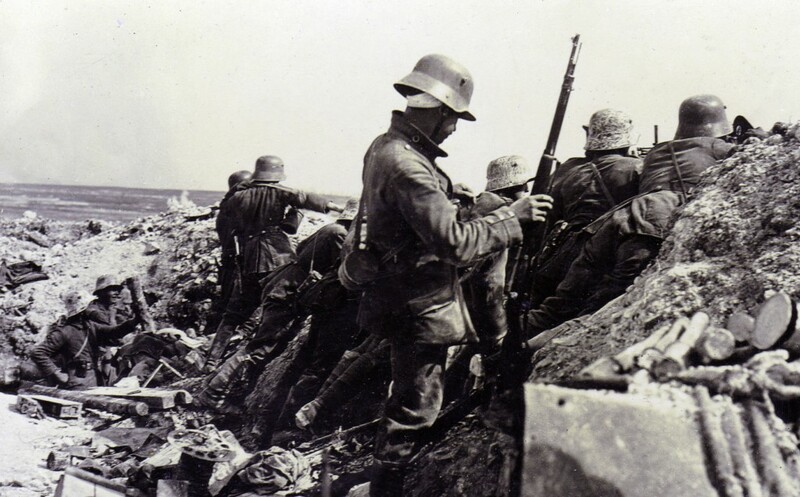 Another theory states that the helmets were stashed by retreating German forces who believed they would be returning to the area after some future offensive. Whatever the reason it should be recognize that these helmets represent headgear that was worn in combat. While combat photographs and battlefield discoveries prove the use of these helmet. 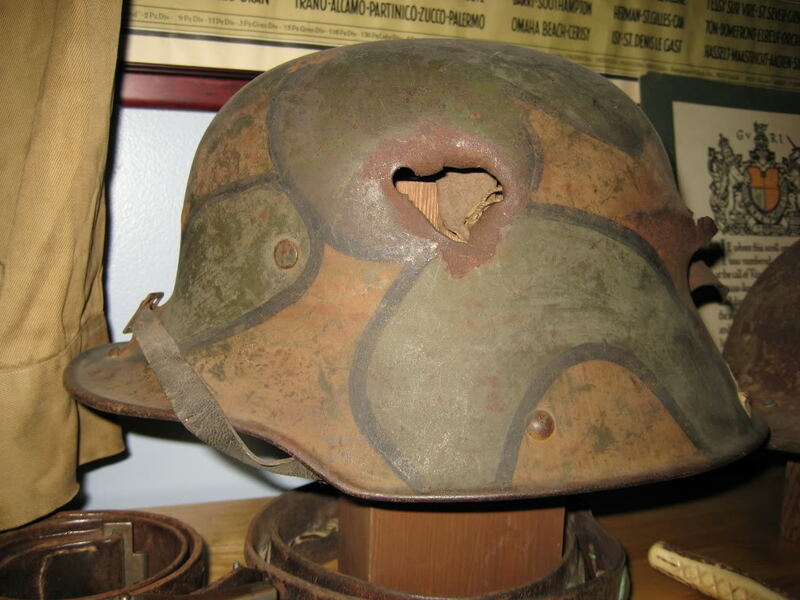 The discussion about camouflaged helmets from the Great War would be incomplete without the acknowledgment that many of the surviving camouflaged helmets in collections today are war trophy counterfeits. 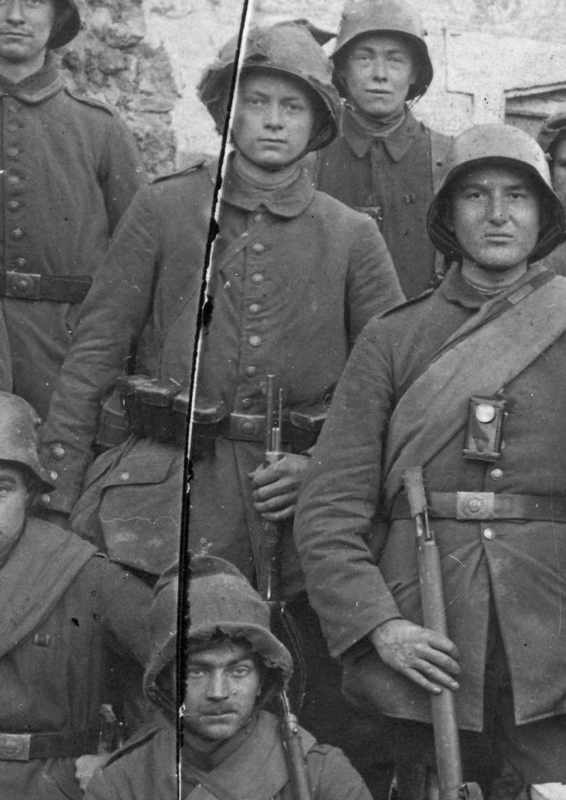 Does this detract from the argument that these camouflage helmets were commonly used by front line German troops? The fact many of these helmets were faked in the immediate post-war era may in fact bolster the argument not weaken it. In a 1963 Interview conducted with Walt Disney, which can be found in Neil Gabler’s, Walt Disney biography the future creator of Micky Mouse talked about his role in creating these war trophies. he drove on the post-war battlefields of the Great War. 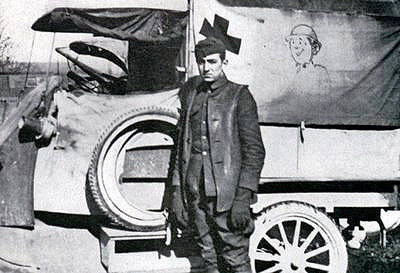 The young Disney arrived in France with the Red Cross soon after the armistice. To earn extra money, on request Disney painted large French Croix de Guerres on the backs of his fellow service men’s leather jackets. He received 10-15 Francs a piece for the work. Soon Disney’s artistic skill came to the attention of one of his fellow servicemen, a boy from Georgia nicknamed Cracker. Cracker reasoned that troop replacements coming though Neufchateau would be willing to pay for “genuine” war trophies. 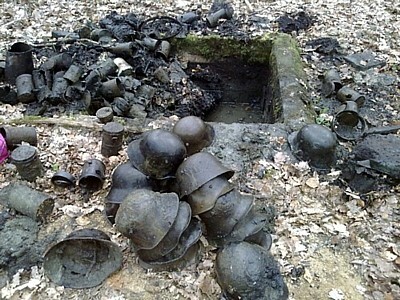 Cracker had located a cache of German helmets in a supply dump outside of town. He brought the helmet back and had Disney paint camouflage scheme on them. After Disney applied the camouflage Cracker shot a few holes in the helmet, scuffed them about in the dirt, and created a convincing war relic. As planned the helmets were then sold off to the arriving American replacement troops and Cracker gave Disney a share of the profit. Walt Disney stands to the right of a friend. Perhaps this is the enterprising Cracker? Walt and Cracker could not have been the only people running this scheme there were probably many others. 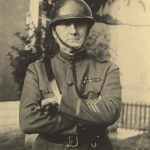 With the large number of American troops pouring into France in the late fall of 1918 and after the armistice the supply of real combat worn camouflaged helmets was probably quickly exhausted. The question that has to be asked is why not sell regular field gray helmet? Why was there a market for camouflaged helmets, especially “battle damaged” camouflaged helmets? The answer to this question maybe that the buyers of these helmets had seen many German troops in the last weeks of the war wearing camouflaged helmets. These men may have associated the camouflage helmets with combat, and possibly with more elite front line units such as the Storm troopers or Guard regiments. Certainly Cracker knew that camouflaged helmets would sell better then plan field gray helmets hence his agreement with Walt Disney. Is this one of Cracker’s and Walt’s creations? 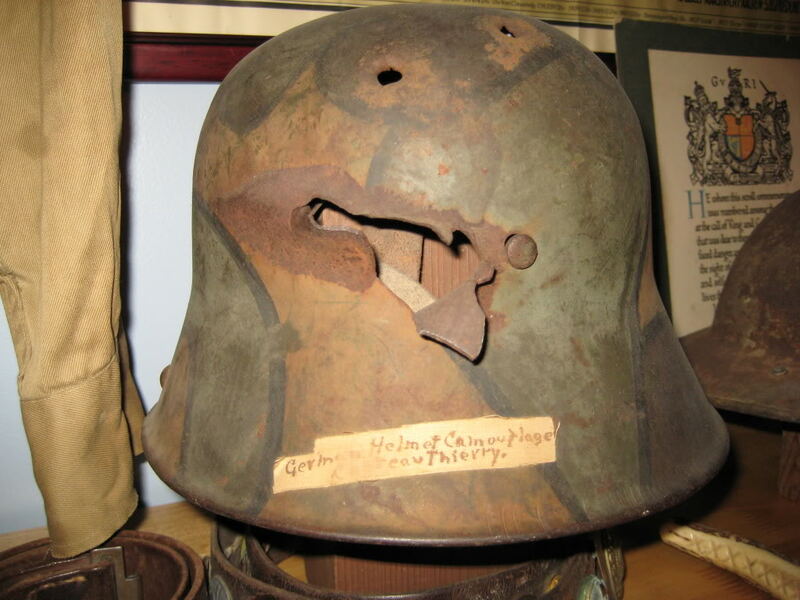 While it may be nearly impossible to tell the difference between many early post-war forgery and a true combat worn camouflaged helmet a large number of originals have surfaced with non standard paint scheme. These helmets often show little wear or light storage wear. These helmets are undoubtedly the work of early post-war artists and unlikely to been worn on the battlefield. 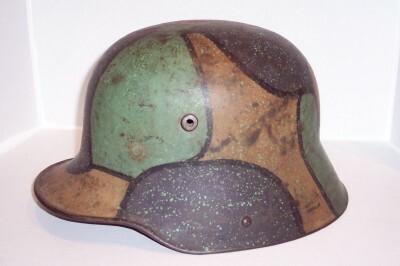 This unusual choice of colors may be an example of a early post-war helmet. 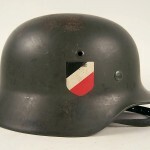 A surprisingly large number of American and British helmet have surfaced with German camouflage patterns. Many of these helmets do in fact use non standard color scheme making almost certain that these patterns were applied post-war. The very existence of these camouflaged allied helmets further strengthen the argument for the high frequency of camouflaged patterns being used by German forces. Although in the case of these Allied helmets the patterns were applied post-war it begs the questions as to why they were applied at all? The response may be the same as to why allied soldiers purchase camouflaged German helmets as war souvenirs. 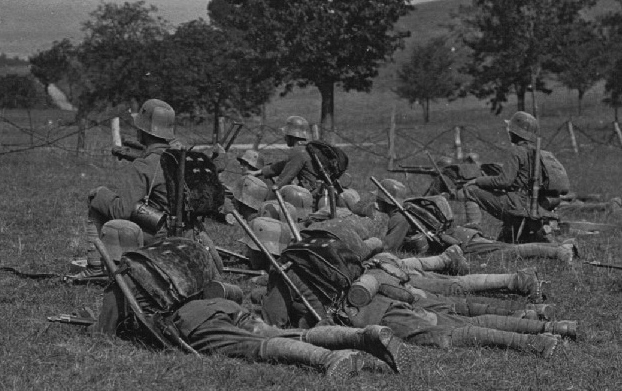 These men were aware and had seem a large number of German soldiers utilizing these camouflage patterns on their helmets. They admired the style perhaps seeing it as a symbol of the Great War and sought to replicate it on their own helmet. If the Germans had only in rare cases used these camouflage patterns then why were so many Allied soldiers willing to replicate the camouflage on their helmets and or purchase a camouflaged German helmet as a reminder of their service in the Great War. The answer to this question has to be that the German forces were using these camouflage patterns with enough frequency that the enemy saw the Ludendorff camouflage pattern as a symbol of the Great War, and a sign of a true combat helmet. 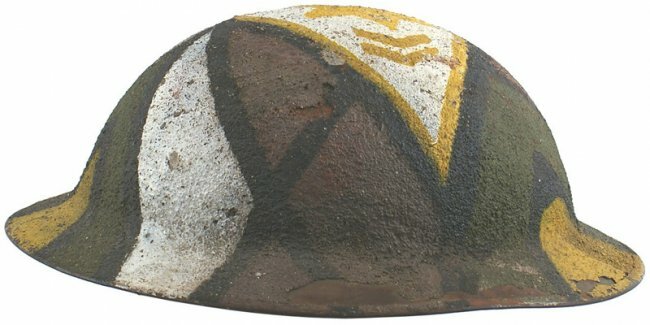 With this evidence, photographic proof and the battlefield discovery of long forgotten caches of German camouflaged helmets; it is time to acknowledge that the use of camouflaged German helmets was not an anomaly. In fact the camouflaged pattern was utilized by German front line troops with great frequency in the last months of the Great War. jarvis79 - April 2, 2016 at 6:09 pm - Permalink - Log in to reply. I know this post is almost 2 years old but I can not agree more with the assessment of camo helmets. Collectors are too quick to say “always” and “never” …terms that rarely apply to human behavior. As for the Allies, most examples were clearly made for parade use and personal whimsy. However, I have no doubt that some were painted before the Armistice. The main counter-arguments are that 1) this was against regulation and 2) where is the photographic evidence? It is true in any war in any army that regulations for front-line troops are necessarily lax. And after all, the Allies camouflaged tanks, artillery, and vehicles so if you could do something that you had seen on enemy helmets and might improve your chances for survival, why wouldn’t you mimic it? 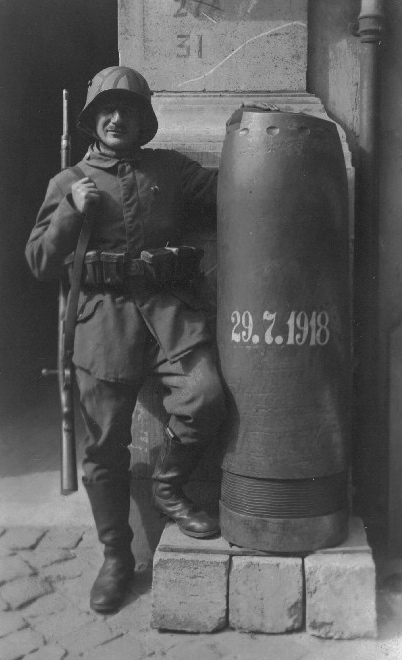 As for the lack of photos, the soldiers that painted their helmets were likely too busy at the last stage of the war to pose for a photographer. The “smoking gun” photo may still be out there. My best argument is a shrapnel-damaged US helmet I have with a natural/muted camo pattern that was clearly on the helmet when damaged. Not to be confused by a helmet that was shot on a fence post after the war to make for a good story, this damage is irregular and torn from a shard of shrapnel like the German example shown. I would be glad to furnish close up/detailed photos of it for anyone’s examination. For me, it is living proof that at least some US soldiers painted their helmets before the Armistice for the same reasons the Germans did …to break up the lines of the helmet and blend in better with the environment. asradmin - April 2, 2016 at 6:32 pm - Permalink - Log in to reply. This is an excellent comment. Thanks for sharing your opinion on this matter. I do believe you are correct that American did in fact wear those patterns too. I may not have been common but I believe it was done. It is interesting to note. This came camo pattern would be used in WWII by the 504th PIR. My guess is their commander know it was a good pattern because of it’s use in WWI.